Naturalized in California (Jepson). Naturalised beyond is native range in some parts of southern Australia (i.e. in parts of south-eastern and southern South Australia and in the coastal districts of south-western Western Australia). Also naturalised overseas in Hawaii and western USA (i.e. California and Oregon) (Weeds of Australia Biosecurity Queensland Edition). Naturalised in parts of China and Russia (New Zealand Plant Conservation Network). Naturalized in California (Jepson). Naturalised beyond is native range in some parts of southern Australia (i.e. in parts of south-eastern and southern South Australia and in the coastal districts of south-western Western Australia). Also naturalised overseas in Hawaii and western USA (i.e. 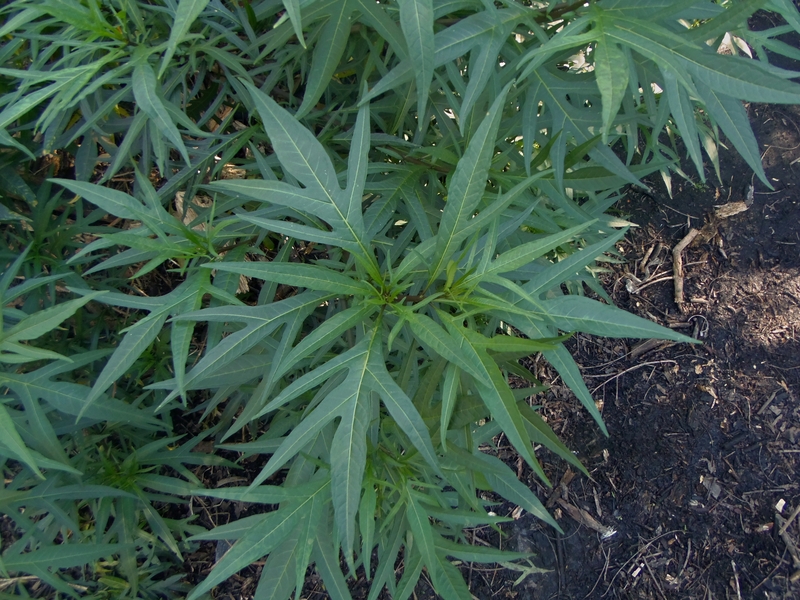 California and Oregon) (Weeds of Australia Biosecurity Queensland Edition). High degree of climate overlap with California (Cal-IPC global map of climate areas matching California). Kangaroo apple (Solanum aviculare) is regarded as an environmental weed in South Australia and Western Australia (Weeds of Australia Biosecurity Queensland Edition). Kangaroo apple (Solanum aviculare) is regarded as an environmental weed in South Australia and Western Australia (Weeds of Australia Biosecurity Queensland Edition). High degree of climate overlap with California (Cal-IPC global map of climate areas matching California). Solanum elaeagnifolium and Solanum lanceolatum are listed as invasive in California (Wikipedia). Solanum marginatum listed as having limited impact but already in CA (listed by CDFA) (Invasive Species List and Scorecards for California). S. viarum major pest in FL and on watchlists in Queensland (Weeds of Australia Biosecurity Queensland Edition). High degree of climate overlap with California (Cal-IPC global map of climate areas matching California). Native to south-eastern Asia (i.e. Irian Jaya in Indonesia and Papua New Guinea), eastern Australia (i.e. eastern Queensland, eastern New South Wales and Victoria), Lord Howe Island, Norfolk Island and New Zealand (Weeds of Australia Biosecurity Queensland Edition). Grows best in Zones 9a-11 (Dave's Garden). High degree of climate overlap with California (Cal-IPC global map of climate areas matching California). An exhaustive Google/Google Scholar search did not reveal any evidence of smothering or displacement of native plants, and this defaults to a “no” answer at this time. Often appears following fires (New Zealand Plant Conservation Network). An exhaustive Google/Google Scholar search did not reveal any additional evidence about fire promotion or changes to fire regimes, and this defaults to a “no” answer at this time. All green parts of the plant are poisonous and so is the unripe fruit, but edible when fully ripe (PFAF). All plants in this genus are toxic to some degree. Although the ripe orange fruits are sometimes eaten, the green berry fruits are poisonous, as are the leaves. The berries are attractive to children (Australian National Botanic Gardens). The yellow or green berries are poisonous but when ripe (orange) they lose much of their toxicity. The symptoms are often delayed up to 6-12 hours and may include a fever, sweating, nausea and abdominal pain (New Zealand Plant Conservation Network). An exhaustive Google/Google Scholar search did not reveal any evidence of common poisoning or mortality or impacts on grazing systems, and this defaults to a “no” answer at this time. Australian National Botanic Gardens, Centre for Australian National Biodiversity Research, Canberra, Australian National Herbarium (2012). Australian National Botanic Gardens. An exhaustive Google/Google Scholar search did not reveal any evidence of formation of thickets, and this defaults to a “no” answer at this time. Propagate by seed (Trade Winds Fruits). Propagation may be from seeds, which require no pre-treatment, or from cuttings taken from spring to autumn (Australian National Herbarium - CANBR). An exhaustive Google/Google Scholar search did not reveal any evidence of vegetative reproduction, and this defaults to a “no” answer at this time. Trade Winds Fruits (2013). Trade Winds Fruits. Australian National Botanic Gardens, Parks Australia (0). Australian National Herbarium - CANBR. An exhaustive Google/Google Scholar search did not reveal any evidence of production of plants by fragments, and this is a terrestrial shrub that is unlikely to fragment, and this defaults to a “no” answer at this time. Propagate by seed (Trade Winds Fruits). Propagation may be from seeds, which require no pre-treatment, or from cuttings taken from spring to autumn (Australian National Herbarium - CANBR). The fruit is up to 2cm long and contains a large number of flat seeds (PFAF). An exhaustive Google/Google Scholar search did not reveal any additional evidence about seed production, and this remains unanswered at this time. Per Reviewer Eric Wrubel: "Personal observation of large plants with > 50 fruits. Assuming 20 seeds/fruit, this would be > 1000 seeds per plant. The evaluation establishes that seeds have high viability. Therefore I propose a YES answer, with med-low confidence, since this is a personal observation." It is possible to grow the plant as an annual. If the seed is sown in early spring in a warm greenhouse and planted out after the last frosts it can fruit in its first year though yields will be lower than from plants grown as perennials. Seed - sow spring in a warm greenhouse. Germinates in 2 - 3 weeks at 20°c (PFAF). No pretreatment of seeds required (Australian National Herbarium - CANBR) so it is possible that substantial germination occurs. 30% of seed germination when soaked in water after 0 weeks of storage (Germination studies of the seed of Solanum laciniatum Ait. and S. aviculare Forst). This seems sufficient evidence to answer "yes" to this question. Porter, N.. G., & Gilmore H.. M. (1976). Germination studies of the seed of Solanum laciniatum Ait. and S. aviculare Forst. New Zealand journal of experimental agriculture. 4, 343–345. It is possible to grow the plant as an annual. If the seed is sown in early spring in a warm greenhouse and planted out after the last frosts it can fruit in its first year though yields will be lower than from plants grown as perennials (PFAF). Blooms January - July (CalFlora) or June - October (Jepson), depending on the source referenced. Per Dave's Garden blooms late spring to early summer. Fruit a berry (Jepson). Likely dispersal by birds, and this is a "yes". An exhaustive Google/Google Scholar search did not reveal any evidence of dispersal via these mechanisms and as this is a terrestrial plant with no morphological adaptations for wind dispersal, this defaults to a “no” answer at this time. Distributed via horticulture (Biological Invasions in New Zealand). Allen, R. B., & Lee W. G. (2006). Biological Invasions in New Zealand.